The mObridge Digital Pre-Amplifier is a revolutionary method of integrating high-end aftermarket audio components with the factory radio. The DA1 replaces the factory amplifier and eliminates the need for high to low voltage converters and or summing devices. 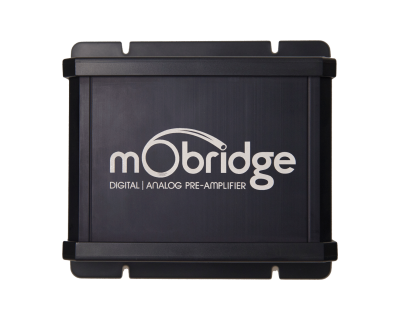 The mObridge Analog Pre-amplifier provides a connection between the MOST system in the vehicle with any aftermarket analog amplifier. It provides 8 channels of RCA analog outputs and an amplifier turn on/off control. 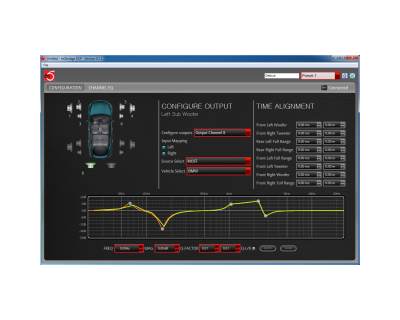 The mObridge DA3 Digital Signal Processor is a revolutionary method of integrating high-end aftermarket audio components with the factory radio. The DA3 is a full digital signal processor complete with graphical interface that replaces the factory amplifier and eliminates the need for high to low voltage converters and/or summing devices. Simply disconnecting the optical cables from the factory amplifier, and inserting them directly into the DA3, will provide 8-channels of full range, ultra clean fully configurable audio.